A story that has always amazed me is the feeding of the 4,000 (Mark 8:1-9), not only was it an incredible miracle, but it comes just a short time after another mind-blowing miracle that Jesus performed, the feeding of the 5,000 (Mark 6:30-44). Jesus loves to provide for people and it’s amazing what He can multiply! This second picnic takes place just weeks after Jesus has performed the same miracle, only the first-time around there was more people, less bread and not as many fish! So why did the disciples not realise that Jesus was able to feed 4,000 people this time round?! I think it’s reminiscent of how easily we can have short-term memory when it comes to our faith! The times that we are believing for God to do something, and yet our faith fades, we forget what He has already done in our lives, in the people around us, or throughout Scripture. It’s easily done! But what can we do to feed our faith, so that our belief becomes more about when God will move, as opposed to worrying about the details of where and how it might be possible for Him to move? Why do you think the disciples had a ‘but when’ attitude at the second picnic so soon after seeing Jesus perform the same miracle? How can this ‘but when’ attitude play itself out in our lives? 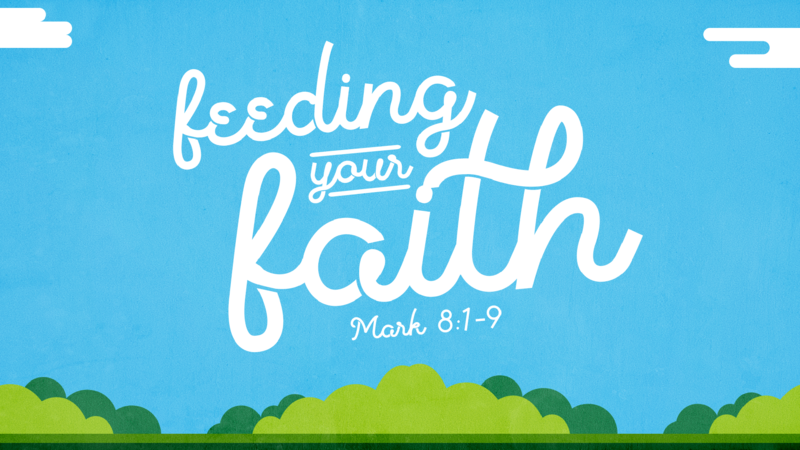 Which of the five ways to feed your faith do you need to work on, and how are you going to do that? Can you think of a time recently that you have seen an answer to prayer? If you can, share it with your connect group as an encouragement that God answers prayer!